If you are looking for great savings on quality used cars in the Fareham area, then you have reached the right place. Fareham Car Sales are a specialist used car dealer based in Hampshire. We are proud to offer you a first class customer service and very competitive pricing, so please browse our stock list. 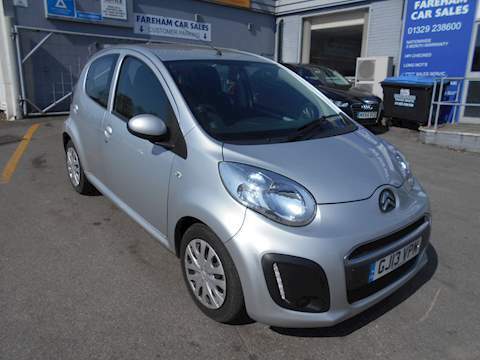 At Fareham Car Sales we stock a range of used cars to suit all budgets and lifestyles so we are sure to have the right car for you. We visited Fareham Care Sales found the car that we wanted. The whole process was fast efficient without any problems. Great service with friendly sales team! Brilliant! will definitely use again in the future. Good value, quality for the money cars with first class service from Shaun. I felt very confident that I had a good deal when I recently purchased a Honda Civic from Fareham Car Sales and would recommend this garage for giving a good fair deal with back up after sales service. relaxed! Staff very helpful and welcoming! Found my wife's dream car! Such a quick and easy process Will definitely be returning!!! Spoke to Lee on the first first thing, he was really friendly and helpful. Got to the showroom @ roughly 9.00am and was met by Shaun, again he was really helpful and me me feel very weolcome. Very efficient service from start to finish great customer service, would definately buy from again in the future with confidence. I was made to feel really welcome and has a really great experience. Service was efficient and helpful and I'm loving my car! Thank you! Very helpful and friendly staff, buying a car from them was a pleasant experience. Friendly and helpful. Good to be abe to test drive without someone from the garage breathing down your neck! 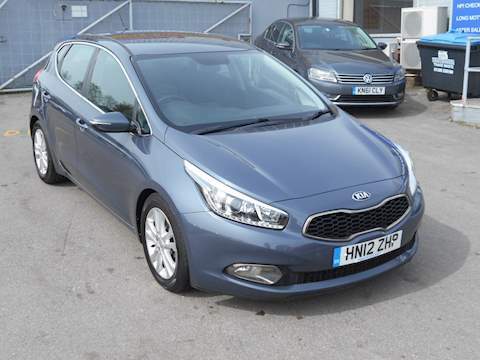 Large range of cars to choose from, all good value. From start to finish the experience and service were extremely good. We dealt with Shaun, who was helpful, knowledgeable and willing to go the extra mile to support us. Through the whole experience, Shaun kept up updated on the process and was very flexible when it came to picking the car up. Pleasure doing business in a straight forward manner - Would recommend !! Great service, really helpful and nothing was too much trouble! Really great and easy experience of getting the car we wanted for a great price! Spoke with Richard, who gave us the details about the car and allowed a quick test drive (considering we arrived shortly before Sunday closing, this was a nice surprise!). He was very accommodating and we decided very quickly to make the purchase. The car was ready the next day, but they were more than agreeable for pickup a couple of days later. We actually made the transaction with the owner, who was also very nice and friendly. He even showed us some of the controls before we left. Overall an easy, simple and friendly place to buy a car. This was my first experience buying from a trader and next time I'm looking for a car, I will be sure to make this place my first stop. Very helpful sales staff. I have only just purchased my car, but I am very pleased with it and believe I paid a fair price, especially as it was fitted with a new clutch, which was included in the cost. 3 months warranty is also included. Nice easy experience of buying a car, good service only negative comments would be that the car could have been cleaned better. 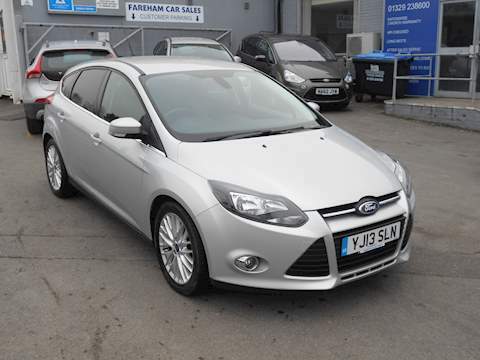 Fareham car sales is fantastic because they are very helpful and went out of the way to make sure I was satisfied. Bought a BMW 320 d, had to wait for few week but Shaun and Richard my sales consultant were really helpful and I'd recommend them because they were really friendly, clear, down to earth and straightforward.They made me feel that I could trust them which is not always the case. I hope that the customer service will continue if any problems should crop up in the future with my new vehicle. Helpful and friendly. Very relaxed when my partner and myself went to rest drive the car. Quick, efficient and friendly service! Put deposit on car over phone .travelled down by train to fareham from south Wales. 5 mins taxi to showroom . Viewed car all good . Smooth transaction .good communication. Great car as described .thanks . We purchased an immaculate Honda CRV from Fareham Car Sales and were delighted with the experience. The Sales Executive was professional, friendly and clearly had a great sense of humour. Service excellent, vehicle excellent, general experience - exceptional. Highly recommended. This is the second car I have purchased from Shaun at Fareham car sales. He is always happy to help and everything is sorted out well. I have been really pleased with both purchases, I have looked around and this was really good deal. Fantastic service from start to finish . Richard straight away put me at ease. He was helpful , efficient and v understanding. Will look to deal with him down the line for a new car. Overall I got the car I always wanted at a really good price. My expectations were exceeded with a scratched panel they went out their way to fix. I will recommend Fareham Car Sales to family and friends and anyone reading the review. Don't hesitate and go for it. Rob. BMW 1 Series. Shaun was very friendly, noted any concerns and was a pleasure to deal with. Excellent value and very happy with my new car. Top service, easy, friendly. No pressure sales. Informative and knowledgeable. Good guys! Great and Friendly service! Car was sorted quicker than originally estimated. Highly recommended. Very pleasant experience. No pressure sale! Done everything they could to make sure we got the perfect car! Would definitely recommend to anyone! The sales staff are very friendly and helpful. Excellent service throughout till you get your car.The price of car is affordable and reasonable.I made the right choice of coming to Fareham Car Sales. I would definitely recommend it and I will go back there for my next car. Only had the car for 2 months but Sales team was brilliant made everything nice and easy very helpful. Any questions I had after I bought car was answered straight away. Very helpful sales people, nothing was too much trouble & Shaun made sure all went well, very happy with my new car. The Dealers at Fareham Car Sale were all very helpful and friendly, the Car was clean and I had. After a month and a half of having the car I had No problems at all. Overall I had a very good experience and would recommend this dealership. Staff were friendly and helpful. I needed a car quickly and the garage were great in preparing the vehicle i had chosen and i collected it within 24 hours of my visit. We were dealt with by friendly helpful staff despite an extremely busy day with potential customers constantly coming in. We would definitely buy from them again. Efficient, helpful sales team. Presented vehicle fairly and were helpful in answering all questions. Contacted previous keeper for me to locate missing accessories. Purchase concluded after all pre-delivery work completed on time. Great service, great communication. Would definitely purchase from this garage again. I received great service, very friendly staff. Do recommend. Helpful and good customer service provided. Fantastic service from start to finish. Nothing was too much trouble. Definitely use them again and recommend. After several negative experiences at other car dealers whilst looking for a replacement car for my wife, I wasn't looking forward to another one. However, I couldn't have been more wrong. The service I received from Richard at Fareham Car Sales was excellent. Laid back and relaxed, not pushy in any way and professional from start to finish. I felt totally at ease and under no pressure whatsoever. The whole experience was exactly as you'd hope a car sale and part exchange to be and I wouldn't hesitate in returning in the future when the time comes to replace our car. One of the best car-buying experiences in over 40 years of car ownership. Professional and no-pressure salesmanship from Richard and Lee - helpful and knowledgeable. Recommended. HJE. This was the first garage we looked at and they had the right car for us. Nothing was too much trouble. They let us drive it around on our own and take it home for a while. We are very pleased with the car and the deal they gave us. We would recommend them. Good service, great car just a shame I had to wait nearly a week after purchase for it to be serviced and valeted before I could collect. Really friendly and relaxed. The staff couldn't do enough but didn't pressure us to buy either. Gave us our own space and allowed us all the time in the word to test drive the car. We love our new car, would definitely recommend. Received courteous and efficient service from Rich. We were met with courteousness and great positivity about the car we had chosen to purchase. We gave the car a test run and really liked it. Paper work was carried out and the MOT completed the following day when we were able to drive the car home. Excellent and efficient service from walking in the garage to owning the car the following day. Very welcomed and looked after, a stress free experience and given a good deal. Well worth the 3hr round trip. Just to say Great service from start to finish. Richard was extremely helpful , efficient and understanding throughout. Again Great vehicle at extremely good price. They Went above my expectations with sorting out a scratched panel. Will recommend to family and friends. Rob. BMW 1 Series.